CodeBlue goes beyond hydration by replacing vital nutrients and fluids your body loses every day to help you feel revived. CodeBlue can be enjoyed anytime to help speed the recovery process and restore your body back into balance. 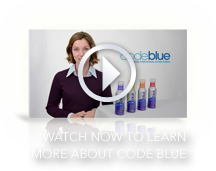 CodeBlue is available in four flavors.